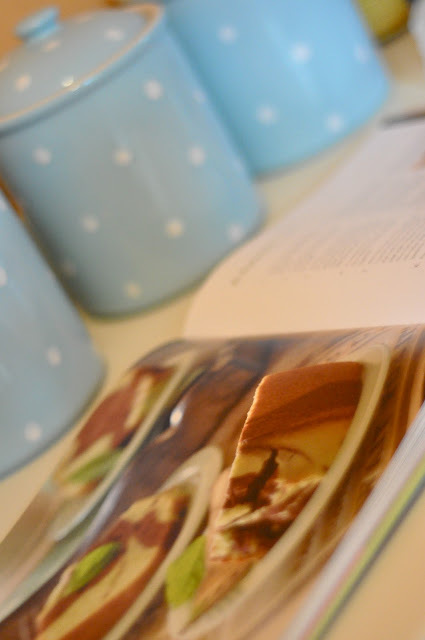 A couple years ago I got the dessert recipe book 'All Cakes Considered' for my birthday. The book is written by producer of 'All Things Considered,' Melissa Gray. She makes some pretty awesome cakes in this book. I've tried several, all successful, but recently I wanted to branch out. 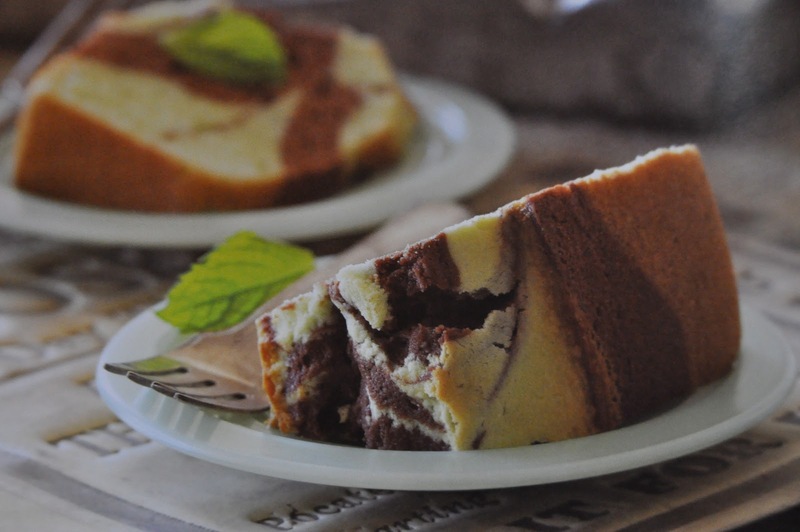 I chose a marble cake that is a mix of a mint cake and chocolate rum cake. She calls it the 'Naughty Senator,' because it reminds her of just that. She tells a story of senators smelling of mint (fresh breath duh!) and the naughty bit makes sense with the rum, of course. She also got into the specific story of Senator Larry Craig, but I won't get into that. It turned out great, although I think I overcooked it every so slightly. The mint gives the cake a kick, while the chocolate is a familiar warm taste. She suggested making this cake in a bundt pan, so I used my William Sonoma 'Anniversary' pan. I believe any style bundt pan would work just fine. 1. Center the rack in your oven and preheat it to 350 degrees. Prepare your pan. 2. In a small bowl, combine 1/2 cup of the sugar and all the cocoa. Set aside. 3. 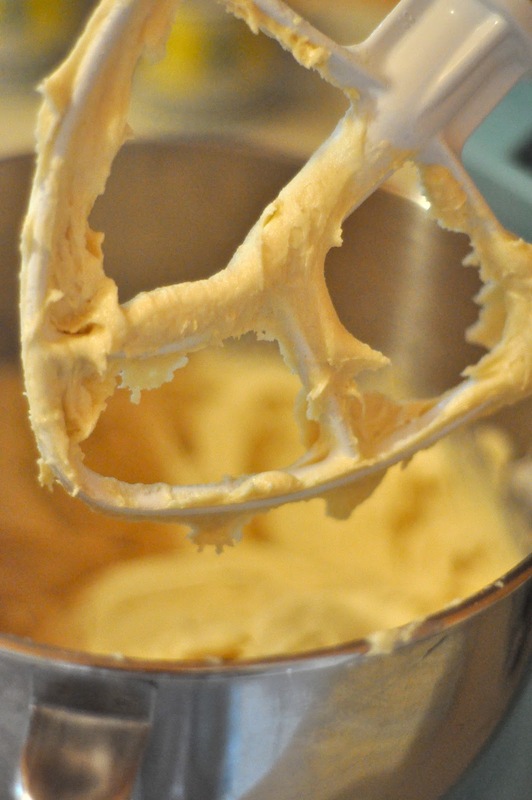 With the mixer, cream the butter at medium speed, gradually adding the remaining 1 1/2 cups sugar. Add the eggs, one at a time, beating well after each addition. 4. In a separate bowl, dry whisk the flour, baking powder, and salt together. 5. 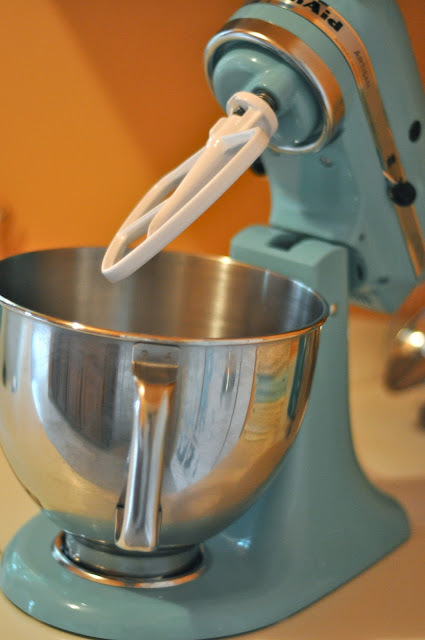 With the mixer on low speed, add 1 cup of the flour mixture, beat, then add 1/3 cup of the milk and beat again. 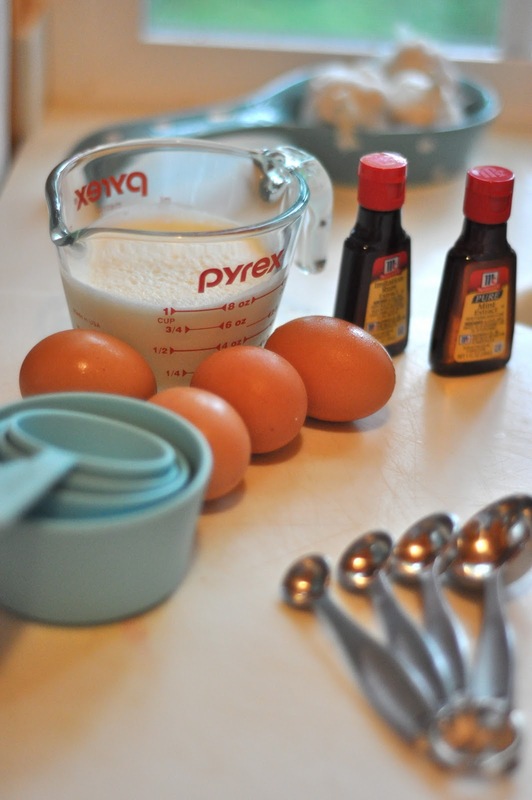 Repeat until all of the flour mixture and milk are blended into the batter. Beat on medium-high speed for 2 to 3 minutes. 6. Pour half of the batter into a clean medium bowl. 7. Add the peppermint flavoring and a couple of drops of green food coloring to one bowl of batter. NOTE: don't use too much food coloring, just enough to make a pastel green. Mix well. 8. Pour two-thirds of the now green batter into the bottom of the cake pan. Set aside the remaining green batter. 9. 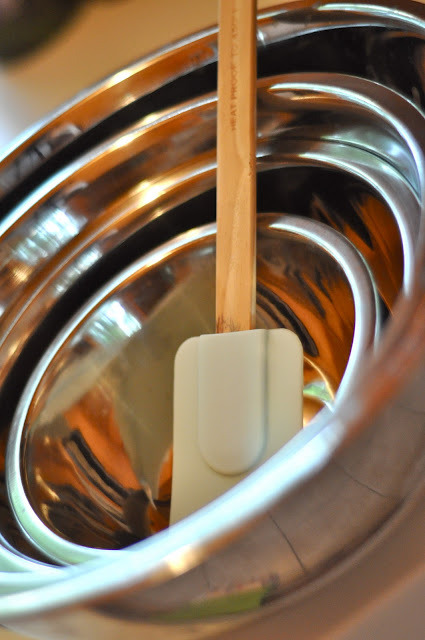 Clean off your mixer beaters, dry and return them to the mixer. 10. Add the cocoa and sugar mixture to the yellow batter and add the rum or rum extract. Beat until smooth. 11. Using your spatula, pour the chocolate-flavored batter into the green batter in the cake pan. 12. Layer the remaining third of green batter over the chocolate batter. Then marble (read below on how to marble). Basically you want to fold the two batters together. Similar to folding egg whites into a batter. Turn the pan while folding, so you get it all blended well. 13. Bake for about 1 hour (it came out overcooked for me, but my oven is slightly warmer than the regular). When the cake tests done, cool for 15 minutes and then remove to let cool on a wire rack for at least 30 minutes.